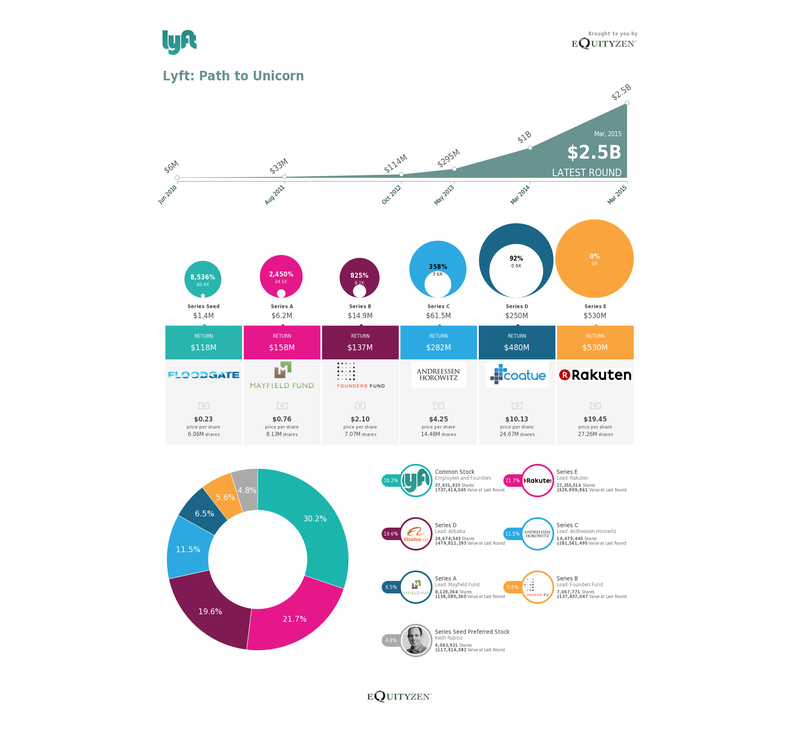 On the heels of Lyft's recent $530 million financing from Rakuten, we've put together the history of Lyft's fundraising and valuation. Uber's fast-growing competitor is now valued at $2.5 billion, which still puts it in the shadow of Uber (currently valued north of $40 billion), but perhaps offers its investors a nice value proposition? Nonetheless, a half-billion dollar war chest should help Lyft expand into other markets domestically and internationally. What on earth is Lyft going to do with $530 million? This is embarrassing, but.....who is Rakuten? Oh, just this little e-commerce company in Japan with 12,000 employees and over $5 billion in annual sales. Rakuten has been on a spending spree of late, acquiring online coupon site Ebates for $1 billion in 2014, amongst other U.S. and international investments. It would be easy to conclude that this investment suggests Lyft will start offering its services internationally; however, the 2014 round was led by Alibaba, and we've yet to see "lyftoff" in China. Stay tuned. Are the employees and founders going to make money? Time will tell, but the Common Stock shareholders (primarily founders, employees, advisors, and contractors) still own over 30% of the company.